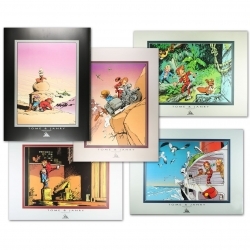 Theses 5 posters of Janry, published by Démons & Merveilles, are extracted from the series Spirou and Fantasio. 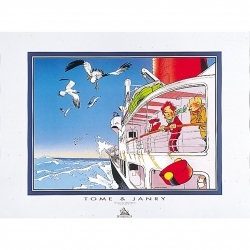 They are printed in offset quality with a format of 60x80cm and 80x60cm. 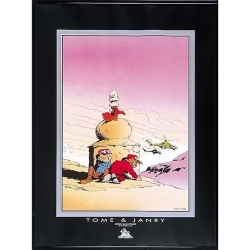 This poster of Janry, published by Démons & Merveilles, is extracted from the series Spirou and Fantasio. 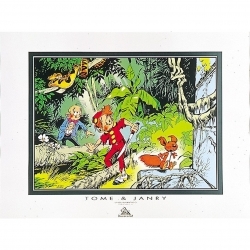 It is printed in offset quality and has a format of 60x80cm. 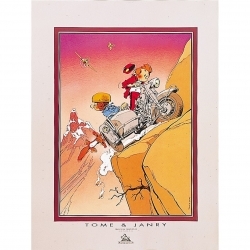 This poster of Janry, published by Démons & Merveilles, is extracted from the series Spirou and Fantasio. 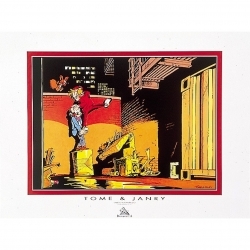 It is printed in offset quality and has a format of 80x60cm.